A collaboration with Jonatan Van Hove, with Amber Hsu (script and performance) and John Peacock (sound design and music). Commissioned for Now Play This 2017 and installed at Somerset House for a weekend, the Restless Spirit Projector is a mysterious machine in a room haunted by ghosts made of light. A tape recording explains that they were drawn from space into the electric circuitry of the museum. When trapped, they speak. If you listen, you can help them find what they yearn for… Laika the cosmonaut dog missing her stray friend back on Earth… a colony of lichen lost in space, a lonely astronaut, and Kepler’s Harmony of the Universe are all present as ghostly fragments. 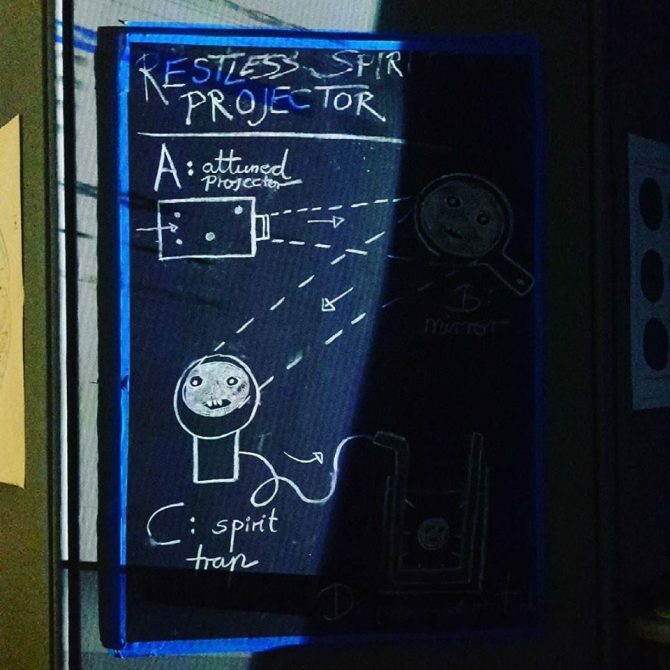 One of the most popular rooms was introduced with a plaque that read simply, “This room is haunted.” Engulfed in darkness, players used hand mirrors to reflect ghosts (projected sprites) into a trap (a light-detecting orb), pairing them up according to physical clues left around the room – and occasionally removed by the designer Viviane Schwarz – like a notebook filled with handwritten and illustrated stories about the ghosts in question. 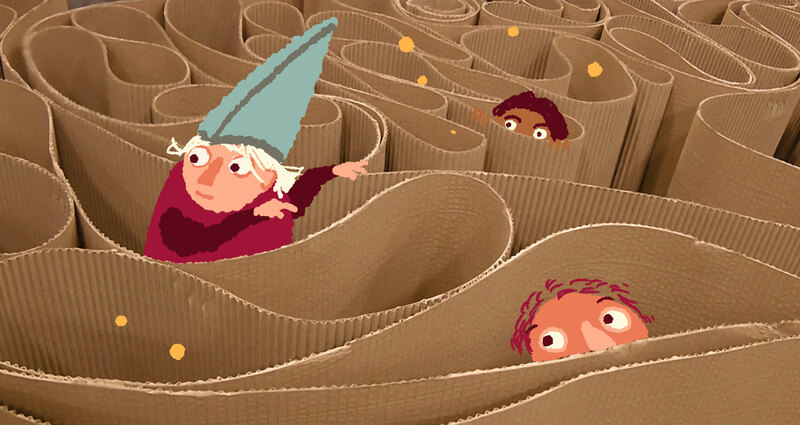 The Treasure Maze, a game played in a 200m roll of corrugated cardboard. 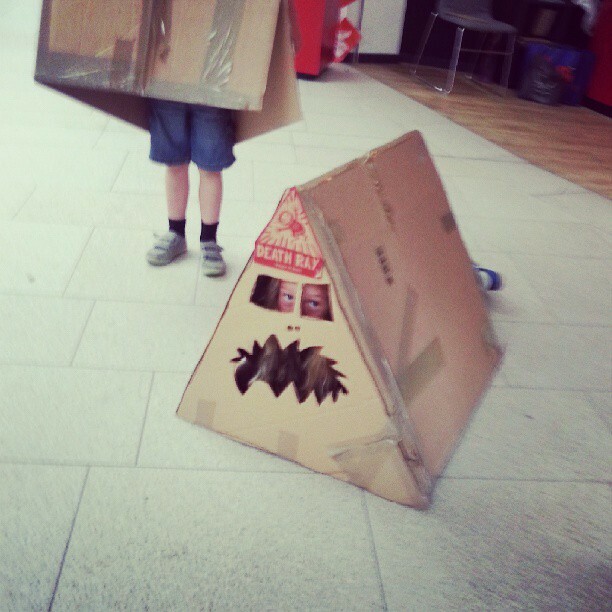 The Treasure Maze has been part of games festivals in London and around Europe, allowing visitors to play a game of hide and seek as sharks and divers in a moving pool of cardboard. 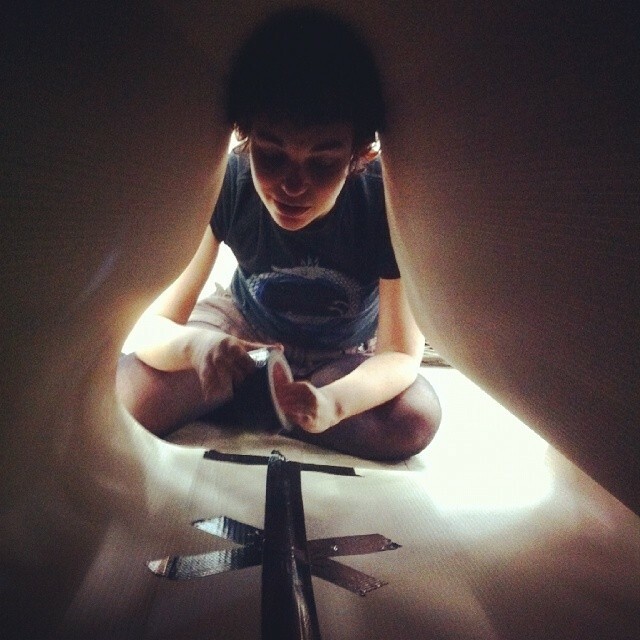 Moving through this cardboard sea looking for caves to hide in instantly evokes childhood memories. The joy of meeting a shark and throwing all the gold coins you collected into the air, hearing hidden players cheer as they fall down around them makes it as much fun to lose as to win. Setting up the Treasure Maze. I build a new one from scratch for every event. 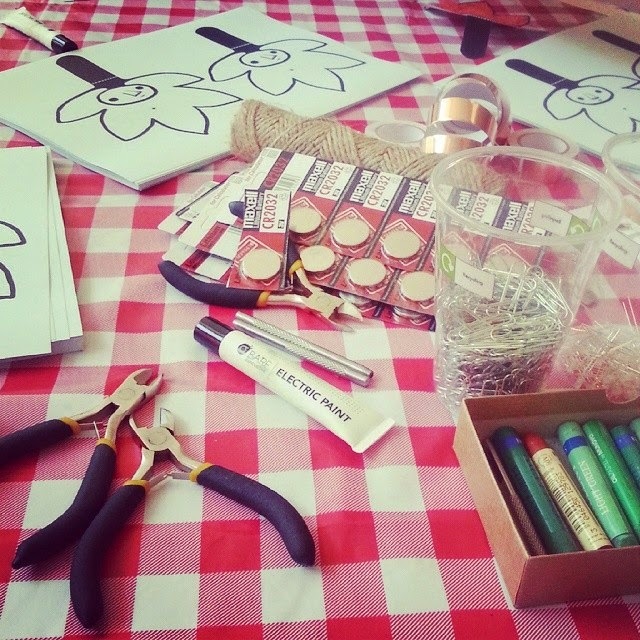 This workshop which accompanies my book “Welcome to your Awesome Robot” puts children in cahrge of their accompanying adults and gives them space and materials to build cardboard robots that the children operate from the inside. They decide what purpose their robot will have, design input,output, internal storage, displays and other parts. 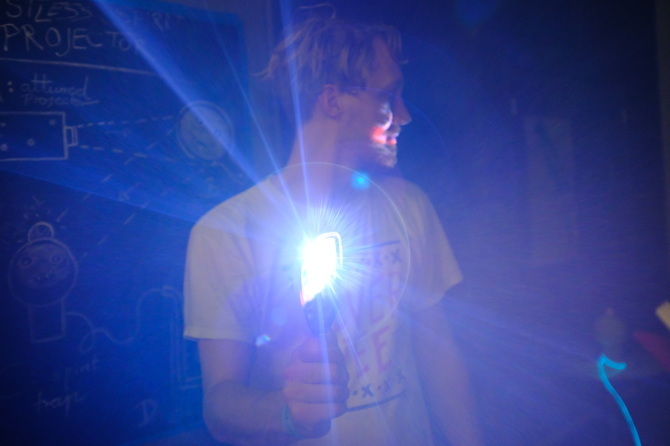 An hour later, the venue is filled with robots being tested and interacting. A collaboration with Codasign for the Southbank Festival of Love 2014. 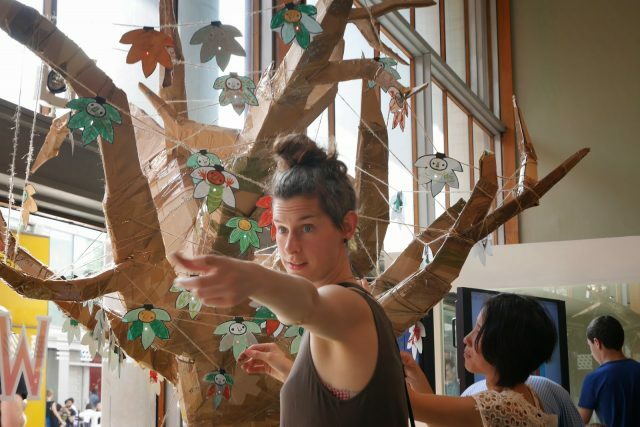 I built a cardboard tree and designed leaf creatures that were then created by families in a workshop. 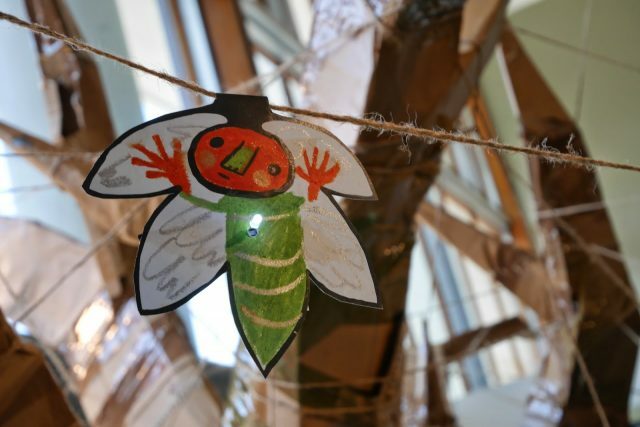 Each one contained a simple circuit that lit it up, so the tree gradually filled with lights and faces. 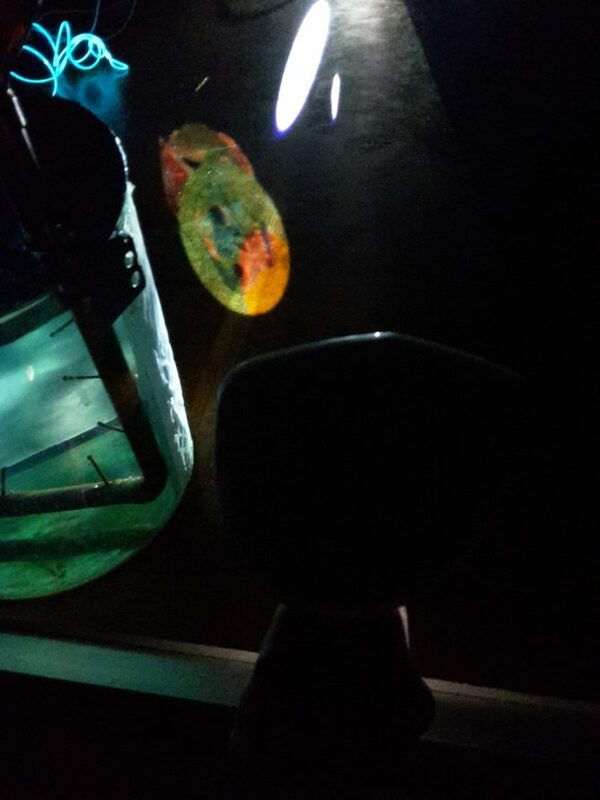 The circuits were made with conductive paint, teaching the visitors a basic bit of electronics. The design of the tree was based on the string-wrapped parcels of treats I used to get from my family when I immigrated to the UK as a student.